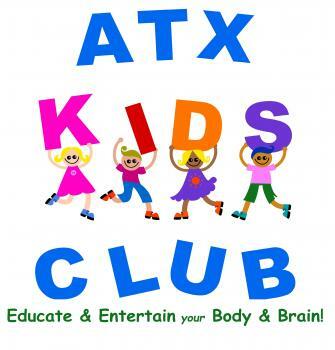 ATX Kids Club is an organization that inspires all children to fearlessly explore, and become self-confident, independent individuals through our educational field trip adventures. With a focus on cultural literacy and healthy living, children are influenced to explore their world and become their best selves. As a 100% mobile organization, we utilize city and local Parks for our drop off/pick up locations. Our campers learn so much about the Central Texas region. This program focuses on the Central Texas Region. Children may travel around Austin using CapMetro exploring their city or explore beyond the city limits riding in our 8 or 15-passenger van to locations in San Antonio, Fredericksburg, Johnson City, Waco, and more. Your child will love spending their school holiday on our adventures! Drop off/Pick up location possibilities: Garrison Park, Pease Park, Vic Mathias, and/or Mueller. Our campers learn so much about Austin and how to explore their own city. Our 5 day/week program includes traveling on CapMetro to all their favorite destinations. Our weekly themes this year include: Nature, Art, Texas, Diversity, and Business. Each month we will offer a Saturday Skills Adventures. We will travel in our ATX Kids Club Van to their scheduled destination to learn a skill.